Although futures were soaring when I went to sleep, they’ve since settled down and we can expect a relatively flat open. I’ll be watching how gold deals with overhead supply and might try to stalk an entry if the pullback continues. I imagine most market participants will take a similar approach. Although, you might expect some end of month window dressing in names that have outperformed this summer. – The unofficial guide to Wall Street dress is good for a chuckle. This entry was posted in Stock Ideas and tagged stock ideas on August 30, 2013 by Jworthy. 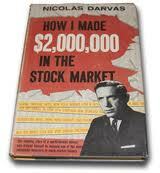 How I Made $2,000,000 in the Stock Market , by Nicolas Darvas is “The amazing story of a world-famous dancer who trained himself to become one of the most successful investors in stock market history. With “How I Made $2,000,000” you’re in for a detailed look at the rise of one of Wall Street’s most successful individual investors. The story of Nicolas Darvas is truly impressive. But it’s not unrealistic. Since I just finished reading this book, I think you’ll find my book review honest, accurate and fresh. I’ve still got a great taste in my mouth. And I hope this book review will help you determine if “How I Made $2,000,000 in the Stock Market” is the right book for you. Darvas reads over 200 books to get himself acquainted with the market. He makes tons of mistakes. And in the process he refines a surprisingly simple methodology for selecting winning stocks. How I Made $2,000,000 in the Stock Market is totally credible. And in the world of investment books that can be a rare quality. Unlike most of the other finance books that populate the best-sellers list, this book is a step by step walk through the experiences of a proven stock market winner. And since Darvas’ experience isn’t one smooth ride to the top (not to spoil it, but he suffers some serious drawdowns along the way) – his story is more believable, more inspiring and more enjoyable for investors like you and me. One of the coolest things about How I Made $2,000,000 in the Stock Market is that you get to follow along with Nicolas Darvas as he learns how to profit in the stock market using his own personal capital. For most investors, this is exactly where you are today, and exactly what you want to know! Since this takes place in 1955, it’s obviously a pretty remarkable achievement! But Darvas is quick to admit that staying away from the buzz of Wall Street is the thing that makes him the most successful. When he removes himself from the distractions of the street he is better able to maintain his conviction and stick to his guns. Darvas goes to show this approach pays. And I think the same lesson rings very true today. If you are looking for a complex and high-tech stock picking system… then, “How I Made $2,000,000 in the Stock Market” might not be for you. While Darvas’ book does a great job covering simple techniques he used to make money, it doesn’t have any specific indicators or high tech algorithms you can rely on to pick stocks for you. After reading this book review, do you think you can profit from How I Made $2,000,000 in the Stock Market? Whether or not you decide to read How I Made $2,000,000 in the Stock Market, I can honestly tell you that I really enjoyed the book. It’s a very quick read that I finished in two days. There is something about these time-tested stock market lessons that’s really exciting and even more encouraging. This entry was posted in Stock Ideas and tagged How I Made 2 Million Dollars In The Stock Market, investment book reviews, stock ideas on August 30, 2013 by Jworthy. This is the first morning in what feels like forever that futures are pointing higher. So can the market follow through on yesterday’s tepid bounce? To stay informed I will watch IWM closely after the opening bell to try and get a sense of direction. I usually wait and watch the 1 minute candlesticks of the SPY and IWM to see what kind of daily trading range is being established in the first 45 minutes or so. You never want to buy the morning gap up, only to see it fade, right? Lately the US dollar and US equities have been moving in concert, which is opposite to what is traditionally expected. For exampe: Yesterday the USD was up significantly and this seemed to buoy stocks. The media is calling it a “flight to safety” but I get the feeling that might be the headline du jour invented by the financial news media to explain the strange price action. — SNV had a strong session yesterday and I would be pleased as punch to see it follow through today. I’ll try to avoid cheerleading too hard. — FMD has been fun to periodically check in on, though I don’t own a meaningful amount of stock anymore. Having watched the price action, I get the feeling FMD is drifting lower until resolution of the IRS tax liabilities. The fun thing is that this stock could explode, either up or down. Are you willing to place a bet? (I’m not). — BRKS is at attractive prices, but the technical analysis leaves something to be desired. My biggest concern is that instead of rallying higher from the current share price (as it did in April), Brooks Automation is just flopping around – threatening to roll over. While ultimately I think the stock could make it to the $19 range, it could get to $8 first. That’s why I’m building a position slowly. — Speaking of bottoms: STLY may be carving out a bottom too. If it can remain above the $3.40 level I will see this as constructive. You’ll remember the stock sold off hard after it’s last earnings miss. Patient investors recognize the intrinsic value of the company and are willing to hold on a few more quarters to see if the company can benefit from it’s ERP updates, new showrooms and improved service staff. — If markets are strong today, there might be a pullback in gold, and consequently IAG. I’m interested in an entry on the long side, but haven’t been able to get one to my liking, just yet. — Maps of the escalating Western presence around Syria. But: No Clear Signs for US Military Action, yet. — Something is up with Euro vs. Dollar option pricing. If these indicators are on the money… and the correlations between USD and SPY mentioned above continue… well… wouldn’t that be an interesting turn of events. — Free Video: “After Hours With The Option Addict” – Check out this great educational video to learn how the ultra-successful Option Addict banks coin. — If you’re looking for some long weekend reading, check out my recent stock market book reviews: A Random Walk Down Wall Street (Book Review) and Confessions of a Street Addict (Book Review). Back with more after the open! I’ll keep this short, as I was in meetings most of the afternoon. Things started out pretty well.. The action in XOM alone is enough to discourage you from adding risk. My positions in BRKS and SNV both also gave back early gains. I wasn’t able to add to IAG, but the end of day drawdown in gold caught my eye too. In the early part of the year, you’ll recall that markets often gapped down and then would rally up into the close. Today, the action feels almost opposite. The morning euphoria fades as traders and investors seemingly come to their senses and reduce risk exposure into the close. That’s not what you want to see in a bull market. So what is a diligent stock picker to do? I’m continuing the boring path of carefully averaging into stocks with strong fundamentals. If I can stay disciplined with my buying, there might even be chances for some swing trading scalps. But at this point, with the spectre of war, the possibility of tapering and strong performance year-to-date, I’m hard pressed to chase risk at these levels. I’ll buy conservative lots of stocks that have a margin of safety as they come down to technical resistance. And I’ll sell on any quick rips. But most of all, I’m watching and waiting. This entry was posted in Stock Ideas and tagged stock ideas on August 29, 2013 by Jworthy. And regardless of what you think of Jim Cramer today, his rise to the top (as documented in Confessions of a Street Addict) contains valuable lessons for anyone interested in financial markets. I hope this book review will help you determine if “Confessions of a Street Addict” is the right book for you too. 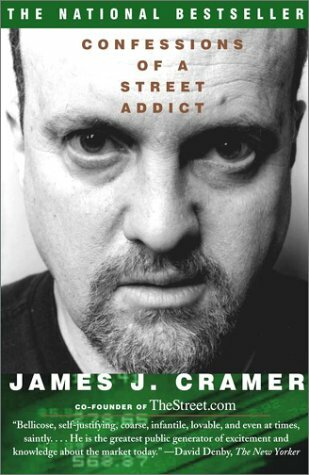 Confessions of a Street Addict details the rise of Jim Cramer, from his Philadelphia upbringing, to his days at Harvard Business School, to interviewing and working at Goldman Sachs, to running an incredibly successful hedge fund and even to taking TheStreet.com public in an IPO. Even though Cramer sometimes annoys me on Mad Money, his successive moves up the rungs of the financial industry ladder are incredibly impressive, I don’t care what you say. Plus, the book is action-packed and moves very quickly, so you will definitely have trouble putting it down. For someone interested in professional money management, these lessons are incredibly instructive. And since I wasn’t very exposed to trading or investment banking when I read Cramer’s book, I really appreciated how Confessions of a Street Addict spelled out exactly how you could advance your career in the financial industry. Confessions of a Street Addict does a really good job explaining both the ups and downs of a high-intensity career in the financial industry. Cramer is up-front and honest about the stress that his professional success put on his family and personal life. There are some pretty jaw-dropping scenes in Confessions of a Street Addict. If Cramer’s wife (referred to as The Trading Goddess) wasn’t also in the financial industry, I wonder if things wouldn’t have been a little different for Cramer on the personal front. Another thing Confessions of a Street Addict made clear was the “intangibles” required to make it in the financial industry. Regardless of what you think of Cramer’s eccentric personality today, his biography makes it clear that character, grit and goals are required to succeed in the financial industry. It’s refreshing to understand that even “celebrity” financial news media had to put in their hours to rise to the top. If you were hoping for an active approach to picking stocks… then, “Confessions of a Street Addict” might not be for you. While Cramer’s book does a great job covering what it takes to be a successful money manager, it’s not focused on how you can pick stocks for yourself. (Cramer’s other book, Real Money, is much more focused on teaching you how he picks stocks. I’ll do another review on that book soon). So has this book review helped you get a better picture of Cramer’s book? Should you read “Confessions of a Street Addict” or not? It’s really up to you! I enjoyed “Confessions of a Street Addict” a lot, for the reasons described above. But don’t let me speak for you! Invest in your knowledge today! Buy Confessions of a Street Addict On Amazon . This entry was posted in Stock Ideas and tagged confessions of a street addict, investment book reviews on August 29, 2013 by Jworthy. Future are flat, to slightly positive. And while I’m happy to wake up and see that the wheel’s haven’t completely fallen off the wagon overnight, yesterday’s damage still looms large. So I don’t know about you but… I’m largely on the sidelines here. I’ll be watching the open carefully to keep my finger on the pulse. I’m not ruling out day trades should we see things start to snap back. But my buys will be nimble, with tight stop-losses. Home sales data is coming out at 10am as well, so be careful about making any big bets before that number is released (as it could be an excuse for a market move, one way or another). — SNV was taken to the woodshed yesterday. Financials were hit hard and this small-cap regional bank took a beating. I’m still bullish on this company and will add to the stock, should it move lower in the coming weeks (something that wouldn’t surprise me). — TINY is at new (seemingly impossible) lows. If you want to understand why, look no further than the TINY Yahoo Finance Message Boards. It’s hard to get excited about a company that isn’t going to make money for 5 years. — IAG is still looking interesting to me. The gold miners (GDX) look like they’re dealing with some overhead supply, so we might see more of a pullback before the entry. — BRKS looks good to me at these prices. My only hesitation is that the stock could continue to drift lower for another month or two. The company is well positioned for the long term but their short term revenue is dependent on the semi conductor producer order schedule, which seems to be taking longer to ramp this year than usual. — I know you might be getting tired of my links to ChessnWine, but the update on broad market divergences is incredibly helpful. I keep coming back to his work because it’s the most objective technical analysis I can find, and it always reminds me to take a step back and listen to what prices are telling me. — I’m a sucker for info-graphics. As things heat up around Syria, this map shows the tightening noose around Damascus. — I may have posted this before, but Scott Bleier’s: “The Story Goes Something Like This…” is always worth a re-read, especially for any non-finance types lurking around. What are you reading this morning? I haven’t heard of Northland before so it’s not the best endorsement of all times or anything. But their commentary on how they see revenue progressing at the end of the year is worth checking out. BRKS has a lot of fundamental value, both in terms of competitive advantage, macro-economic trends, dividends and balance sheet. The volume is thin though, and I don’t expect a sustainable move in the stock until seeing some signs of more revenue. But if you’re in it for the long term I don’t think the stock is overvalued at these prices. I’m seriously thinking about adding to my own position if the stock gets support at yesterday’s highs. Remember, you can also read this in-depth analysis of BRKS I wrote a few months ago (there’s a video too). My only real worry is the stock could linger for awhile or grind lower on general market weakness. That’s not really any way to live though. So I’ll keep you posted if I make any moves. @jworthy also a potential double bottom on the weekly going back to april. That’s all for now! I’ll be back with more for you later. (Disclaimer: do your own research too, don’t just read mine). I added a small amount to my long-term BRKS position. Last time it was at this price levels it “v-rallied” higher. Now it’s threatening to roll over but I’m willing to make a small buy and add again if BRKS falls to $8.40. I’ll continue to build a buy list and add to my core positions as opportunities arise. I was happy to see IAG retreat today and hope that the follow through continues tomorrow. I missed out on the run last week and am interested in a “pilot buy” to get some exposure to the name. This entry was posted in Stock Ideas and tagged stock ideas on August 28, 2013 by Jworthy. And since this one of the first investment books I ever read, I think you’ll find my review honest, accurate and insightful. So let me tell you what the premise of the book is about and the important lessons I learned reading it. 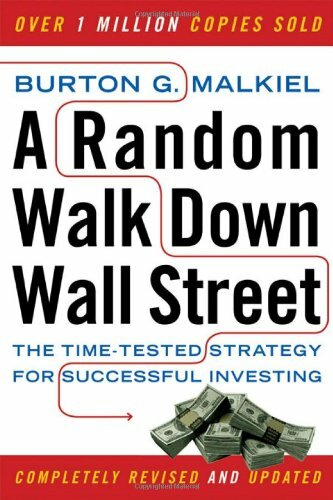 I hope this will help you determine if “A Random Walk Down Wall Street” is the right book for you. A Random Walk Down Wall Street is based on the premise that low-cost index funds will outperform actively managed mutual funds over time, every time. That makes sense right? But for people like you and me who want to manage their own money, it might be a little bit discouraging. This stark, objective look at how these factors manifest in the world of finance is incredibly illuminating. When you read A Random Walk Down Wall Street you start to understand all the objections of your potential clients, and the whispers of your skeptical friends. And as an active money manager, having a firm understanding of what your critics are saying is a great way to stay educated. It also reminds you that if you don’t bring your A-game (as in alpha), an index fund will eat your lunch. Thus, if you’re looking to get educated about all the active rebuttals against active money management (and the data to support it), “A Random Walk Down Wall Street” just might be for you! A Random Walk Down Wall Street does a very good job highlighting the academic data supporting the efficient market hypothesis. If you don’t know, the efficient market theory postulates that markets are excellent at analyzing and integrating information into the price of stock. The gist of the efficient market theory is thus that stock prices perfectly represent all prices and all information known about stocks. I know this sounds a little hard to believe in this era of insider trading. But A Random Walk builds a compelling case with over 40 years of historical data. Five Asset Allocation Principles: A detailed look at risk, reward and how different balances of equities and debt can help round out your portfolio. Risk Distinctions: Understanding the difference between your attitude toward risk, and your capacity to endure market risk. The No Brainer Step: Easy instructions for investing in index funds. And believe me, these three points are just scratching at the surface. A Random Walk contains a plethora of information you can use to objectively evaluate the investment ideas you’re already investigating. Don’t you see how that might save you some money? If you were hoping for an active approach to picking stocks… then, “A Random Walk Down Wall Street” might not be for you. “A Random Walk Down Wall Street” does a great job covering the reasons for indexing your money, and debunking stock selecting techniques that don’t work… but it’s not meant to focus on how you can pick stocks for yourself. Does that make sense? I hope you’re getting a clear picture of how you might benefit from this book. So should you read “A Random Walk Down Wall Street” or not? Publisher: W.W. Norton & Company Inc. This entry was posted in Stock Ideas and tagged a random walk down wall street, investment book reviews, stock ideas on August 28, 2013 by Jworthy. Futures are pointing slightly lower this morning. But with bonds stabilizing pre-market, there might be room for an up-day. We’ll have to wait and see. IWM and ITB/XHB will be the first things I look at. In times like these it usually pays to way 45-60 minutes to see if an intra-day range can emerge. Let others set the pace and then jump in when you think it’s safe to do so. — If there is broad market strength, or strength in XLF, then I expect SNV to stay strong. The fundamental narrative is pretty good and if the bank can keep growing revenues then a multiple expansion will at some point become justifiable. Until we get more news I’ll be watching the price action in Synovus Financial closely. — A low volume pullback in IAG would be something to grab my interest. Larger gold miners like ABX might be a more conservative play on the same idea. It’s hard to call a bottom in gold here (as bottoming can be a long and arduous process with lots of sharp bear market rallies). But over the long term I like the price of the value here and might try a “pilot buy” in one of the above-mentioned. — TINY is getting thrown in the basement. Wake me up when it starts to move. — I think BRKS is oversold as well and, I might even stalk an entry in this company. I really like the long term prospects for Brooks Automation. Once the semi-conductor manufacturing cycle ramps back up, BRKS should fly. Until then, I think the stock might drift lower, or bounce around a narrow range. I’m apt to slowly start building a position. — As usual there are some good posts over at iBankCoin this morning. If you haven’t already, check out “The Fly On Interest Rates” … And Option Addict’s Weekly Watchlist is rife with actionable trading ideas! — ForexKong points out: Something smells funky with the Australian Dollar. — Over at Business Insider, Joe Weisenthal is raising the alarm about the debt ceiling. — Market Logic is in full effect: “The numbers were disappointing this morning, but maybe we’ve returned to one of those odd situations where bad news is good for the market in terms of the Fed tapering,” said Peter Jankovskis, co-chief investment officer at OakBrook Investments LLC in Lisle, Illinois. Stocks in general were quite weak into the close (like I need to tell you). But the fades in GOOG, IWM and ITB were disappointing. XOM is trading at is almost trading at it’s Graham Number. And Seth Klarman is doubling down on BP. Both of these oil giants are almost neutral YTD. Will they finally wake up if things in Syria finally reach a boiling point (re: western intervention)? This entry was posted in Stock Ideas and tagged stock ideas on August 26, 2013 by Jworthy. — Happy Friday! After yesterday’s impromptu half-day of trading there isn’t too much to say. Futures are basically flat this morning and I’ll be watching the open to see if the bears or bulls come with control. If prices are going to march higher, I’m hoping to see some TLT stabilization and good price performance out of IWM and ITB/XHB. I’d also like to see XOM stop the bleeding. I’m cautiously optimistic but will be careful to let market action be my guide. Without a clear trend direction, I will continue to accumulate strong businesses at fair prices. By shopping for small cap names with robust balance sheets I’m relatively able to insulate myself from a broad market correction (to an extent). And even if names like SNV and TINY get sold off hard, I’m familiar with the fundamental economics of their respective businesses and will consider averaging down. On the other hand, many stocks are over-priced after this 10 month market run. And I’d be happy to see a pause, or even a reset, to some more realistic earnings multiples. I’m continuing to stalk an entry in BRKS and watching the FMD saga with one eye, just for kicks. —July new home sales data are due out in the U.S. at 10 AM ET. Economists predict sales fell 2.0% to 487,000 units annualized last month after rising 8.3% to 497,000 the month before. — The cost of taper talk: Market reactivity to the remarks of Chairman Bernanke are astounding. I’m not sure how much stock you can put in the unemployment and other recovery data. So it sure will be interesting to see how things go should the Fed reduce purchases. A big percentage of large-cap stocks are still looking strong. This was notably absent in the last week or two. This entry was posted in Stock Ideas and tagged stock ideas on August 23, 2013 by Jworthy. — Futures are pointing higher for now. And we’ll see if they can hold up at the open. I’ll also be looking for stabilization in TLT. There is a lot of weakness under the surface. So although I’m quite long, I’m watching the damage closely. The XOM chart alone is enough to have me worried. Due to my modest cash reserves I’ll be cheerleading my stocks and seeing how they act at the open. I’m in a “wait and see” mode – but if the downside follow through continues I may need to cut some losers. Stay tuned for updates. — SNV started off strong but ran out of gas. I’ll check back at the close to see where the traders are jockeying. — The market has lost any expectation of TINY making any money, ever. Short term this is bad. Long term this is… mediocre. I still think the idea of the company is cool. Too bad Doug can’t make it work for HHVC shareholders. — Tech and the IWM are still holding up pretty well. ITB looks weak, which obfuscates the picture somewhat. — In the meantime, you might enjoy a video Chessnwine found: Jack Schwager Hedge Fund Market Wizards Trading Techniques. This entry was posted in Stock Ideas and tagged stock ideas on August 22, 2013 by Jworthy.